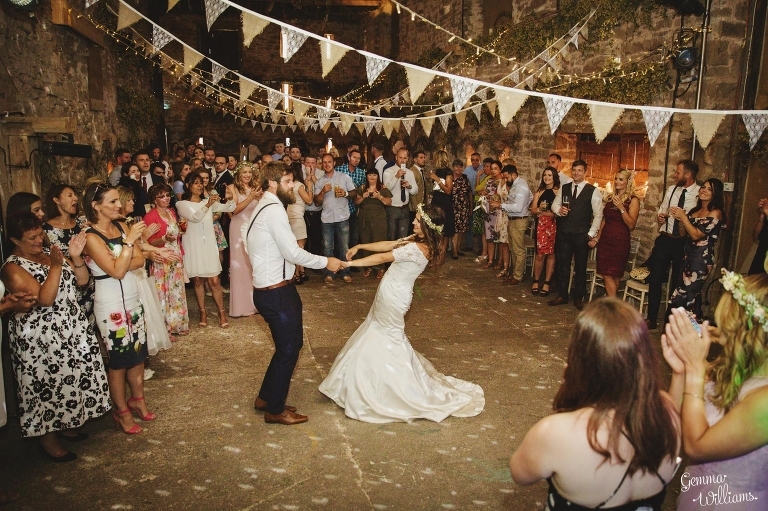 Kerry & Matt were married in July at the fabulous Lyde Court in Herefordshire. 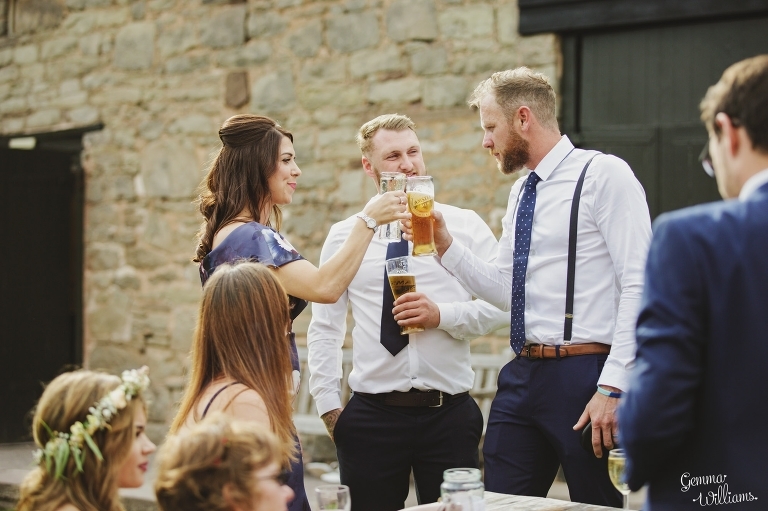 This fun venue has a house where you can get ready, as well as a couple of amazing barns for ceremonies and celebrating, in the middle of the rolling countryside. Kerry & Matt were married outside, with the most beautiful floral arch (complete with antlers) as a backdrop. 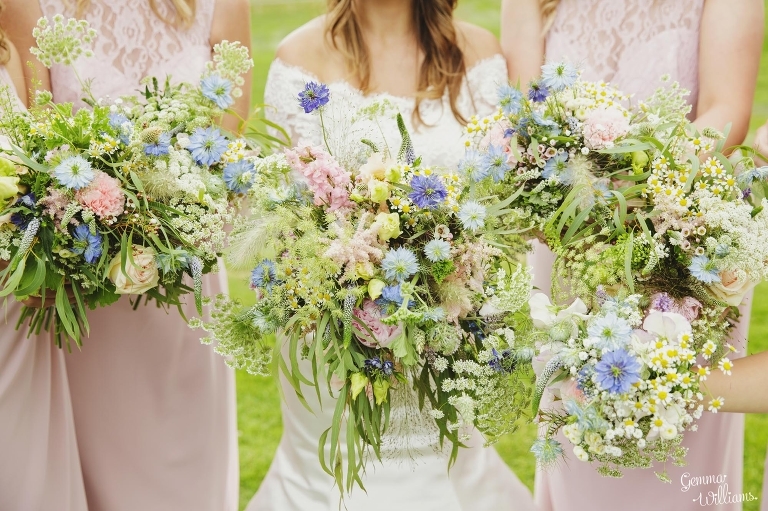 The flowers throughout the whole wedding, by Issy & Bella, are stunning – I’m sure there will be lots of ideas here that you can borrow for your own wedding day. It was also lovely to work with the talented Serenity Beauty (makeup). Kerry & Matt made the decorations themselves, and with Matt being a carpenter, there are lots of rustic wood influences. I love their styling of the vintage bicycle too. And did I mention Kerry’s glittering shoes?! 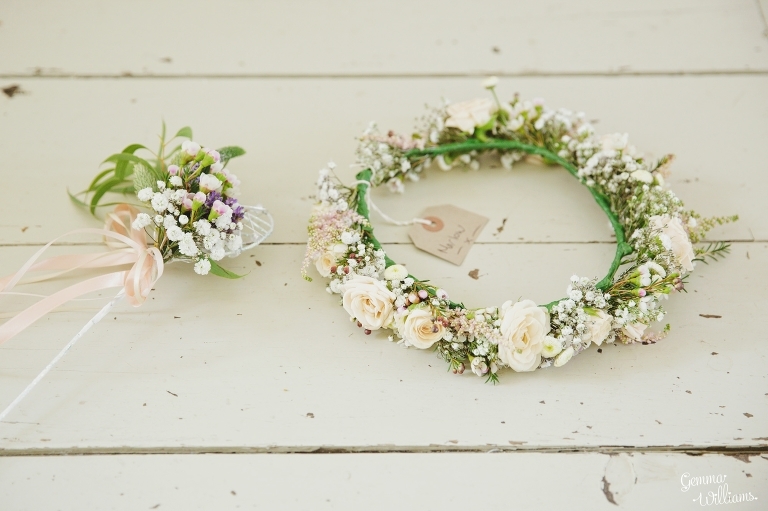 And the flower crowns… too much to swoon over in this wedding! So enough words from me – here is their absolutely gorgeous wedding day in pictures for you to enjoy – truly the “best day ever”!